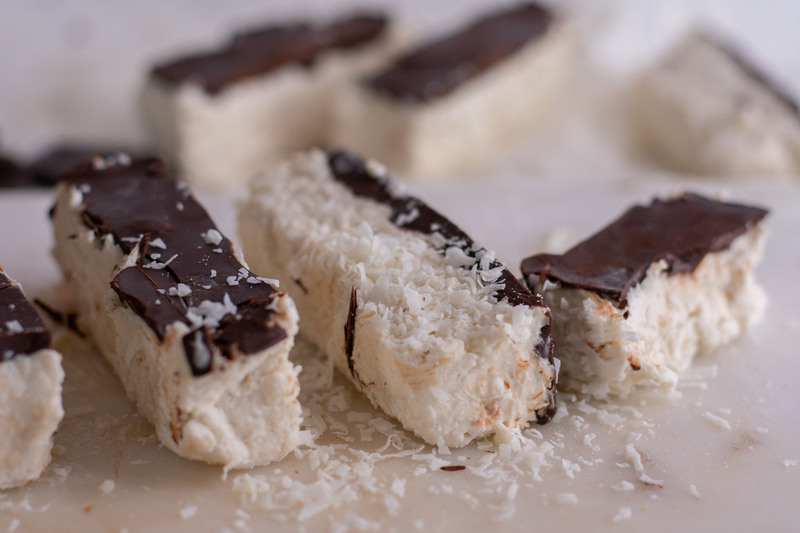 Looking for a delicious coconut dessert? 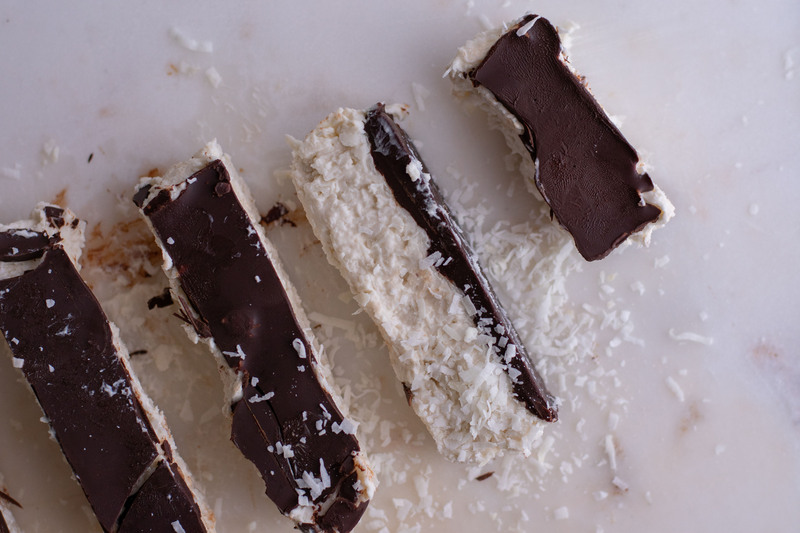 These Coconut Cream Bars are high in healthy fats and taste absolutely amazing. 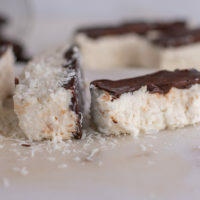 I have become such a huge fan of coconut and these certainly satisfy that desire. 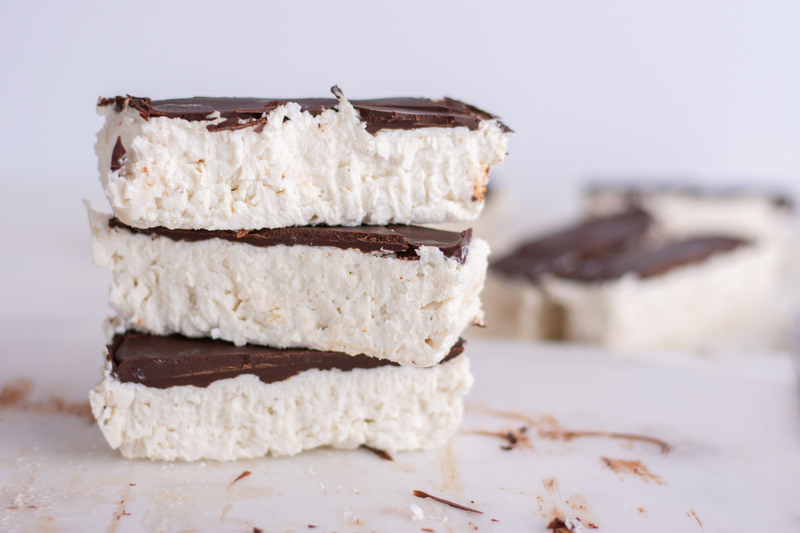 The layer of chocolate on top of these sure add so much flavor. 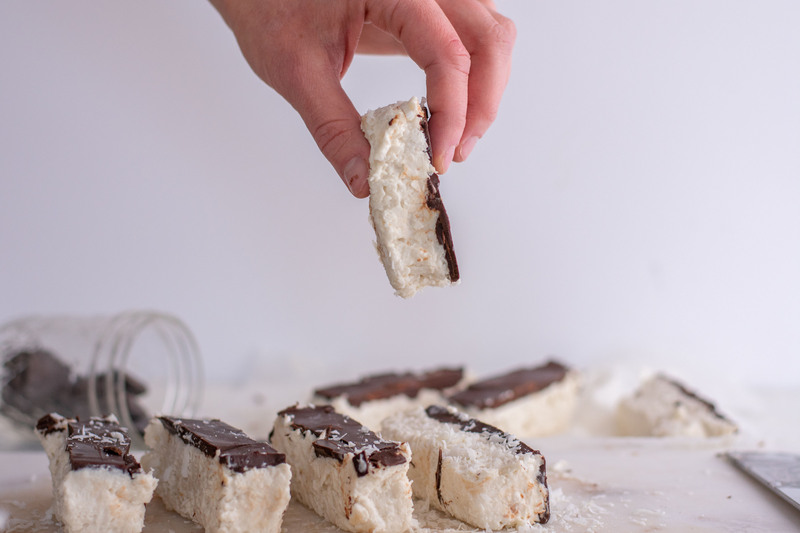 This recipe reminds me of almond joys, and oh boy they are good. 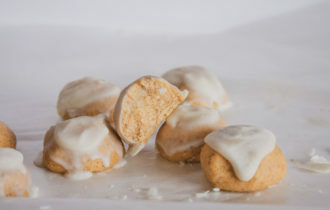 To make them taste even more like almond joys just add some almonds in the middle. 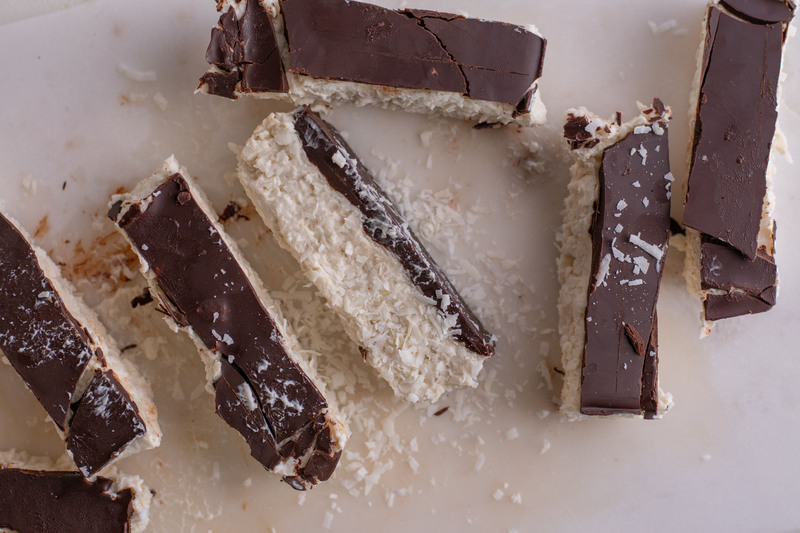 These could totally pass as a candy bar replacement. 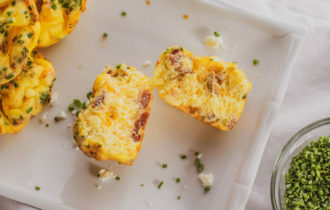 Something that would be absolutely delicious is covering these in chocolate instead of a layer on top. The best part about these is that they don’t have added sugar. I love using coconut milk in my recipes. 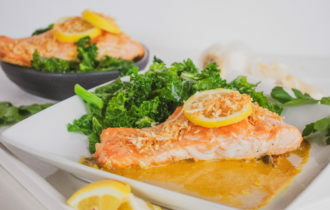 Coconut Milk is a great option for the keto diet. It is high in saturated fat and hardly has any sugar. 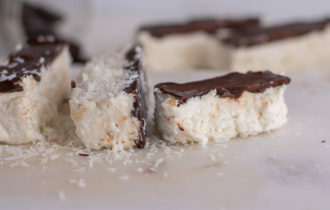 Some great other coconut recipes we have on are listed here. When it comes to the holidays I love to have a dessert option available to make that kind of goes with the theme. There is always to much candy around the holidays and I like to prepare myself. 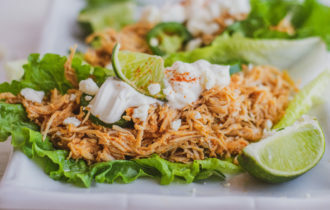 Having a great recipe that you enjoy made and ready to go is a great idea. If you are wanting to make something I would highly recommend this one. Last year we made Cream Eggs. Those are another great option. 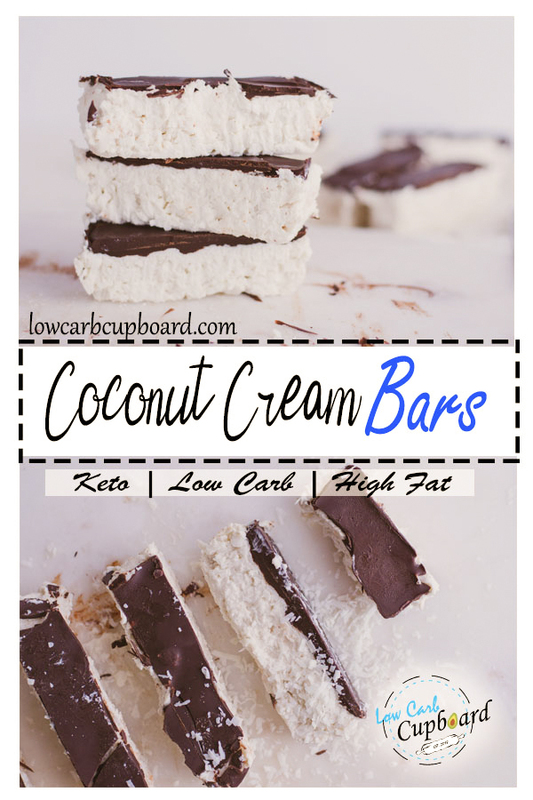 Coconut fans check this out! Softened the cream cheese and add all of the ingredients except for the toppings, into a bowl and mix together well with a hand mixer. Line your mold with parchment paper and place the mix in and level. Place in freezer for about 2 hours. 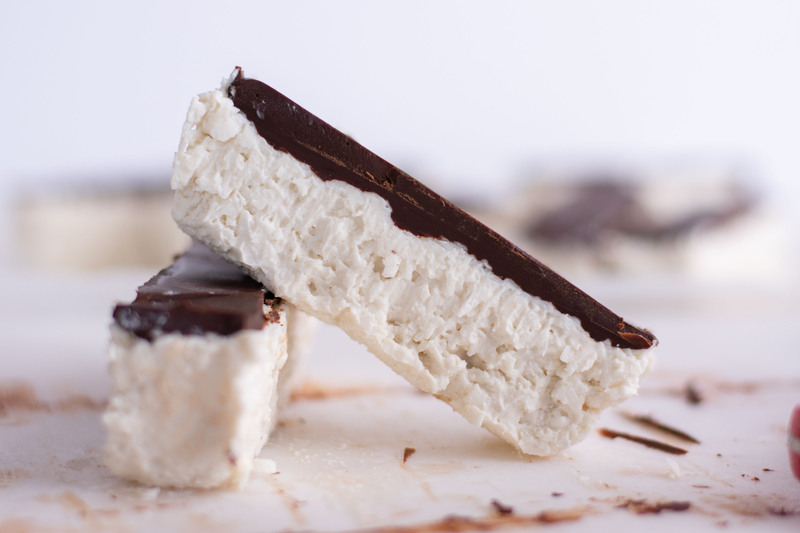 Melt the chocolate and coconut oil in a microwave safe bowl. Pour on top of the coconut mix. Place in freezer for another 2 hours. Cut into 10 bars and store in fridge. Additional toppings: Almonds would go great with this recipe or any nuts.